يشكل فندق Royal Pacific Hotel بموقعه الممتاز في قلب North Shore نقطة انطلاق ممتازة لاستكشاف سيدني. يقع مركز المدينة المثير على بعد 18km فقط. سوف يعشق النزلاء موقع هذا الفندق، فهو قريب من أهم المعالم السياحية في المدينة كمثل North Shore Private Hospital, Norwegian Consulate General, مستشفى نورث شور الملكى . كما يقدم Royal Pacific Hotel الكثير من الخدمات لإغناء رحلتك في سيدني. إن تخزين الأمتعة, واي فاي في المناطق العامة, صف السيارات, غرفة عائلية, مطعم هي جزء فقط من الخدمات التي تميز Royal Pacific Hotel عن باقي الفنادق في المدينة. تنعكس أجواء Royal Pacific Hotel في غرف الضيوف.إغلاق, شاي مجاني, مناشف, سجاد, قهوة فورية مجانية هي بعض الميزات الموجود في العديد من الغرف. يقدم الفندق مجموعة واسعة من وسائل الراحة المتنوعة، كمثل: مركز للياقة البدنية, مسار جولف - ضمن 3 كم, حمام سباحة خارجي, حديقة. اكتشف مزيجاً ساحراً من الخدمة الاحترافية والخيارات الواسعة من وسائل الراحة والمتعة في Royal Pacific Hotel. يجب على النزلاء إبراز وثائق حكومية سارية تثبت هوياتهم (جواز سفر, بطاقة هوية, رخصة قيادة, إلخ) مع بطاقة الائتمان المُستخدمة لإجراء عملية الحجز عند تسجيل الوصول. يظل مكتب الاستقبال مفتوحًا حتى الساعة 10:00 مساءً. يجب على النزلاء الذين سيصلون في وقتٍ آخر غير الأوقات المذكورة أن يتصلوا بالعقار مباشرةً قبيل وصولهم؛ وذلك حتى يمكن إجراء ترتيبات أخرى. يفتح مطعم مكان الإقامة من الاثنين إلى الخميس. Was shown to the room and surprised at what was in the room. There was a microwave oven, fridge, iron and board, toiletries, tea and coffee station, dryer. The room was very clean. We caught public transport to Sydney from out the front, very convenient. The staff were excellent. We were impressed. Clean room with enough amenities for a quick overnight stay. There's a bus stop in front of the hotel but there's no pedestrian crossing nearby if you want to go in another direction. It will be a bit of a walk. Arrived at the hotel on Pacific Hwy, Lane Cove North about 3pm on Friday. Thought the traffic would be diabolical, but the access to the hotel from the highway was aided by traffic lights that allowed easy access. The room was quite a good size with fridge, microwave oven, eating utensils, tea and coffee station. Being cold nights the hotel was heated, perhaps a little too warm. Otherwise good with helpful staff. Good location - although the highway gets busy at times. Staff very efficient and friendly. Good sized rooms - mine was overlooking the parking lot so there was no highway noise. Easy walking distance to The Great Northern pub. Parking is ample and not as constricted as in many city hotels. A fairly not expensive Hotel, 15 min from Sydney center. You can expect that things works, good atmosphere and a room with space. We were having difficulties locating the exact entrance to the Hotel. Were travelling on the opposite side of the highway coming from a family funeral at Mona Vale. We phoned reception on a number of occasions and found the young man on the desk to be most patient, friendly and extremely helpful. We ate at the restaurant and found both the service and quality of food to be very good Really enjoyed our stay. Very convenient to the City of Sydney. Close to the city and Chatswood. 5 mins from Artamon station. Great price clean and tindy. Lift was out of order but we were advise of this so it was fine. Only thing if you're walking is that you have to cross an extreamly busy highway. Be carful! Thats the only con. This is the place to be if you want to be close to the city yet still have that quite, no rush fresh air environment. Was very impressed with the Royal Pacific, from the outside it may look a little dated, but inside it is lovely. The décor is clean and modern. The beds were super comfy and the room had all the facilities you require. Would recommend staying here. Shame that I can't try their restaurant food because they are close on Saturday night. Saturday night? Yes unfortunately. Location is good for those who look for cheaper price hotel but not so far from CBD. Room was very clean with plenty of natural light and it was comfortable and quiet. Room looked out over tree tops and towards the Blue Mountains. There was no noise at all even though it was located on the Pacific Highway. All furnishings appeared brand new. Staff were friendly and helpful at check in. the room is clean, spacious and in very good condition. hot/cold air condition works very well. bathroom is very tidy, no stain. the only thing that is not very good is the location is far from city centre. i booked this room with a very good price through thanks to bedroom checker. Price of room and location. 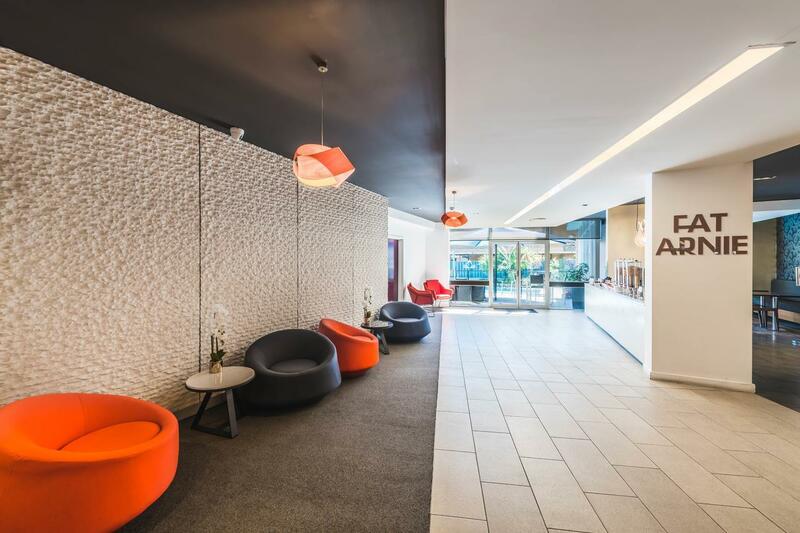 Upon checking in we had a problem because the hotel had not received the agoda confirmation information and neither had we (booking had been made 3 hours earlier) The receptionist went to a lot of trouble to call Agoda direct so I could speak with a client agent. I was davised by teh client agent that there was a glitch in their system and she would send a new voucher within 15 minutes. She did, and the old voucher also arrived 5 minutes later. Overall, however, this meant that I wasted one hour at reception trying to check in. Stay was pleasant - neat and clean for somewhere so low priced on the north shore. Royal Pacific Hotel is well located for business, leisure, passing through. It has been recently renovated with an eye to what the current traveller needs and expects. Clean, quiet (despite its location) and offering all amenities. I booked the day before staying at this hotel, not expecting a 6th floor room away from the noise of the Pacific Highway, with a view over to the Blue Mountains. The room had all amenities and comforts expected of a hotel of this standard. I had a problem with the operation of the television, but it was my fault, as I had not checked all switches. However, the receptionist was very willing to come up personally to check on my problem. There was plenty of parking available. My view was fantastic. The walk from Artarmon Station took about 15 minutes, but you can also use buses from the city. I didn't use the restaurant, but the facility looked inviting and the breakfast was at a reasonable cost. Check in was swift and pleasant. This hotel is a great place to stay, comfortable room with great service from the hotel reception. The hotel comes with the free parking service, which is very convenient for anybody from another state traveling to Sydney and not familiar with the parking spaces in the city centre. 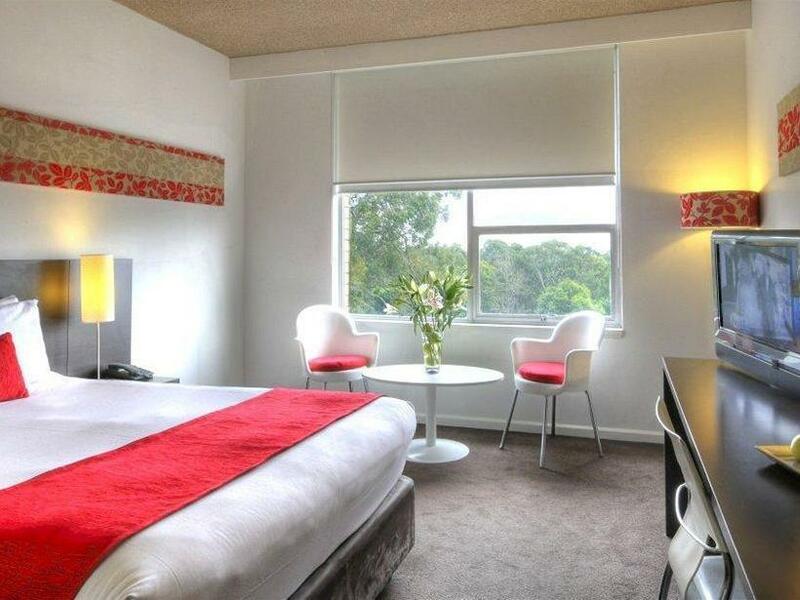 The hotel located about 20 minutes driving to Sydney city centre, which is for shopping enthusiastic. If you are not driving a car, then You will not have to walk a long distance to the nearest train station, located 5 mins from it. There is KFC restaurant located 2 minutes by walk. we was surprised that we were a bit lost where we get off the train to the hotel location however we phoned to the hotel guy they can tell me the right way to go and finally we reached it.it is interesting for visitor who have to walk to the hotel it will make you cross the high way in order to get a short way because the location of hotel. anyway the service is still very good. even we had a ealier check out in 6:30 am, there was not receiption but the phone call help us to check out smoothly and we left on time to catch our flight. tks for the convenient check out way provided by the hotel.